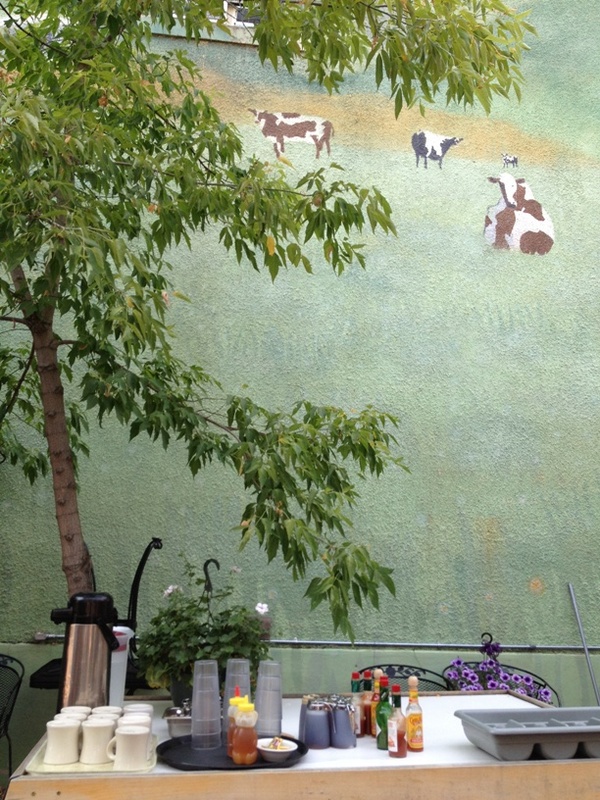 Cateye Cafe Brunch in Bozeman, Montana - JP loves LIFE! As I post this, folks in Bozeman, Montana are likely shivering…. or at least I would be if I were there! But I was in Montana a few days around Labor Day (it was my great american roadtrip!) and had the chance to enjoy some beautiful weather and fantastic food too! 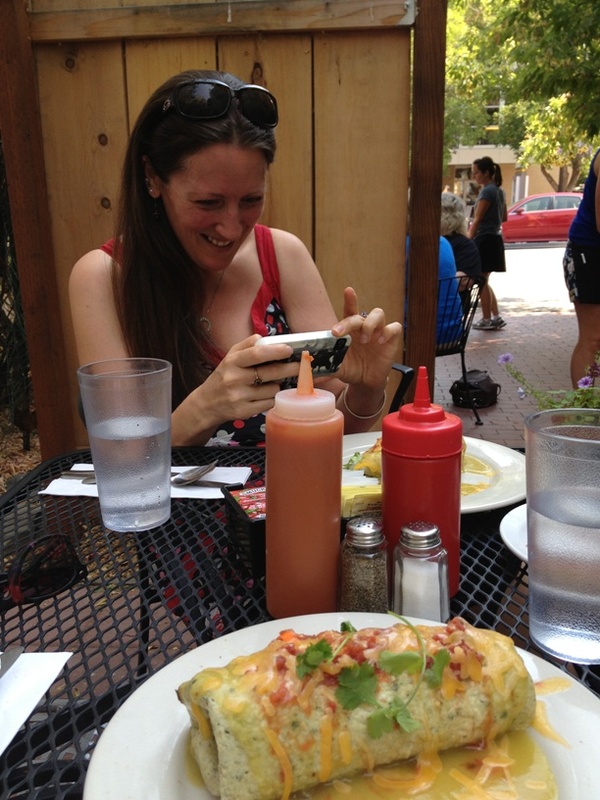 Decided that to get my Montana posts started, I would do a simple (mostly) wordless Wednesday about the great brunch I had in Bozeman with my dear friend Jude Capper! 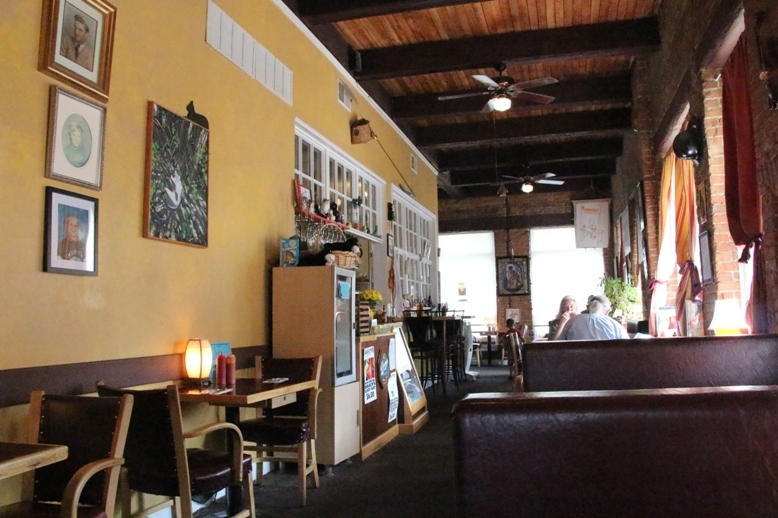 We went to the Cateye Cafe just off the main drag in downtown. 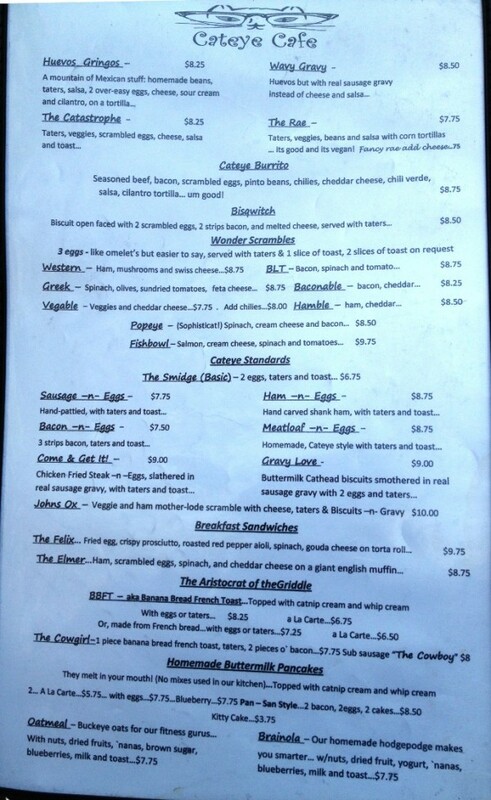 Just sitting down and looking at the menu made me crazy hungry! We sat out on the patio…. there was a great mural. 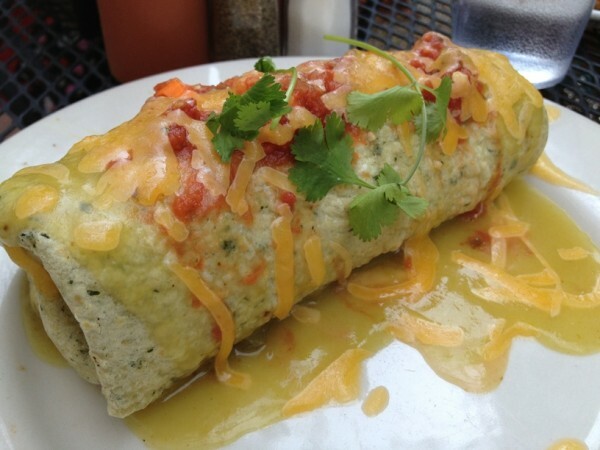 I settled on the breakfast burrito! AND IT WAS AWESOME! Jude did too and OF COURSE she had to take food photos too! 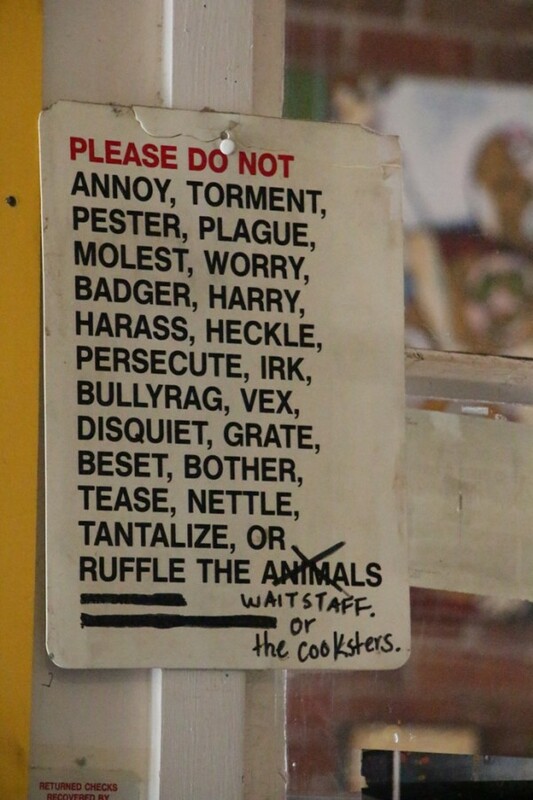 We did make a short trip inside the cafe too and this sign, giving the rules for customers really caught my eye. In short it was saying “be nice” but it went to great lengths to make sure that was clear! The indoor dining area was really awesome…. look at how great the light was! Breakfast really looked yummy. Glad you enjoyed it! I have a friend in Montana, but I’ve never been there. This was my first trip! It was so beautiful that I know I will be going back! Fun. I love that sign. I think it would help set a fun tone & yet may be a good reminder too!